The Audubon BirdCam has made it easy to get snaps of visitors to the bird feeders in the RainyDayGarden. Wingscapes, the maker of the BirdCam, released an update to that amazing automated camera a few weeks ago. 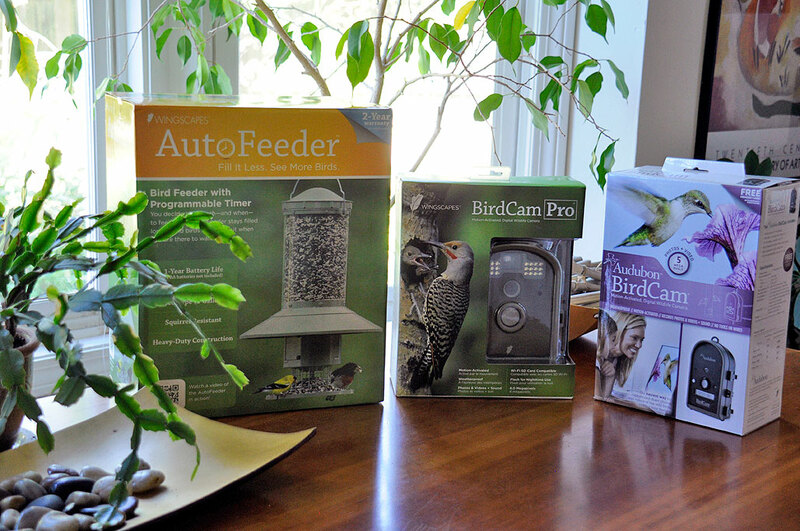 Today, we are going to take a FirstLook at what is new about the BirdCam Pro. The BirdCam Pro now has a higher resolution 8 Megapixel sensor and a built-in LED flash. Like the original BirdCam, the Pro will take photos when the infrared motion-detector is triggered. However, the Pro’s triggering capabilities have been extended to include a timer. So now it will be possible to not only capture birds visiting the feeder, but flowers opening, spiders web-spinning, and other such time-lapse events. 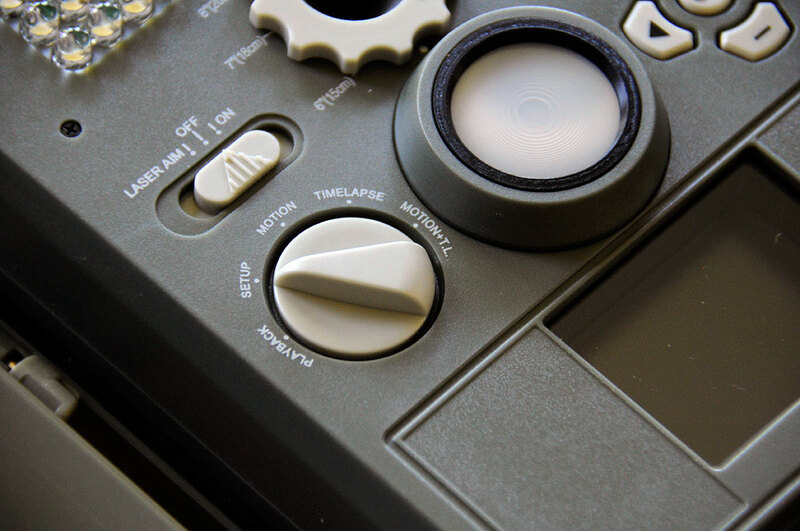 The redesigned Pro model has a new rubber seal, similar to the Pelican or Otterbox waterproof cases. On the back of the camera is an additional 1/4-20 threaded standard mounting point. It als has beefed-up loops for a strap instead of holes for bungee cords. Instead of a cover on the back, the battery compartment is now a pop out tray located at the bottom of the case (and takes six C-size). The tray’s new location offers better protection for the batteries against the external elements. Another difference between the original BirdCam and the Pro model is the controls. 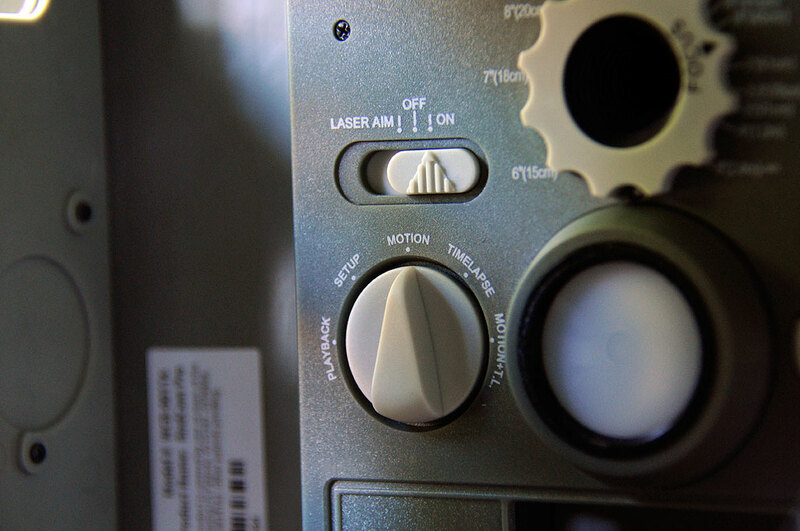 Many of the menu options have now been made into physical buttons on the front panel. This approach makes access to the settings quicker and less complicated. We especially like that the focus can now be precisely set. The process is still trial-and-error, but users are no longer limited to only the few click-settings as with the first BirdCam. Of course, it may not make much of a difference as the depth-of-field is pretty deep with that small aperture. Still, it is good to be able to tweak it if desired. As can be seen in the comparison of the original BirdCam (left), the new BirdCam Pro case is shorter, the camera port is bigger, it has two banks of LEDs, and a view finder. Gone is the external camera trigger and the LCD info window. Also, along with mounting straps, the camera now comes with a clamp. 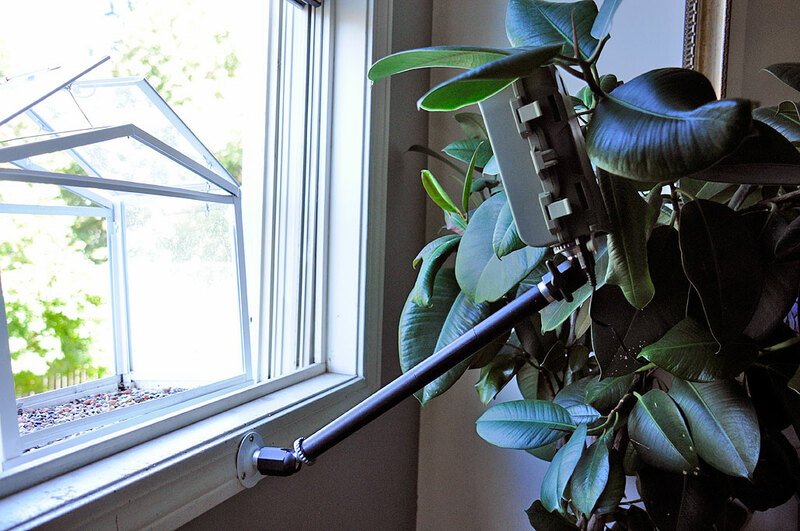 It is a shorter version than the pole mount we looked at a little while ago, but it works pretty much the same way. The BirdCam Pro now has color TFT instead of an LCD info display. The larger screen makes it easier to navigate the various setup and other options. The bonus is that the recorded images may now be reviewed directly on the BirdCam Pro. This is helpful for a quick check when in the field, without the need for a computer. While some users were able to get WiFi SD cards to work with the original BirdCam, a number had problems as the device was never offically designed with those types of memory cards in mind. The Pro is and should make it even more convenient to offload images from the camera, especially if mounted in harder-to-reach locations. The higher pixel resolution and more variable focus settings will enable the user to clear and sharper images. It does mean fewers images will fit on a given SD card (900/2GB, 7200/16GB). Fortunately, the price of bigger SD cards have fallen dramatically. A 2GB card will cost less than $5 and 32GB cards can be found $20 !